The Romero-Venturelli Labs compete in the Madison softball league! We didn't win a game... But we had fun and showed strong improvement! We're looking forward to next season! Phil receives the Shaw Scientist Award! We had a good showing from Romero and Venturelli labs! Ryan Hsu won the best poster award! Congrats to Ben Bremer for winning the Mary Shine Peterson Award! 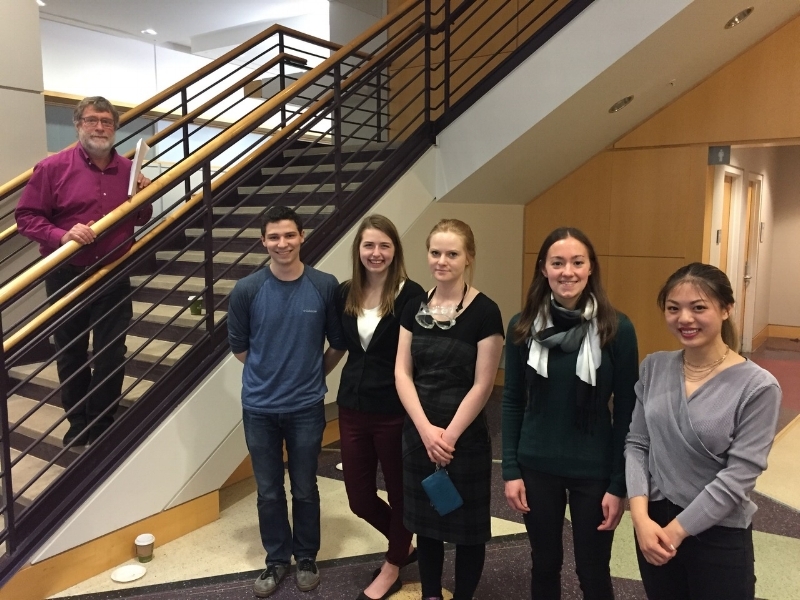 The Mary Shine Peterson Award is the top honor presented to UW-Madison Biochemistry majors! Congratulations to all the undergraduate awardees! Our collaborative project with Synvitrobio was selected for STTR Phase II funding from NSF! Looking forward to continuing our work with Zach and his team! Welcome to our new graduate students Apoorv and Jerry! Apoorv studied Chemical Engineering at Georgia Tech, and Jerry studied Biotechnology at Fudan University. The lab welcomes Aaron Lin as a postdoc! Aaron previously worked on metabolic engineering in Hal Alper's group at UT Austin. Congrats to David Ojala for his excellent work! SCHEMA was used to design over 1.5 M chimeric AAV capsids. These diverse sequences displayed novel targeting of neurons. Job Grant joins the lab as a postdoc! Job recently finished his PhD in chemistry from the University of South Carolina where he worked with Tom Makris. Welcome to Madison Job! Michael is leaving us to start a microbiology lecturer position at IUPUC. Best of luck! Sonali is selected as a trainee for the Molecular Biophysics Training Grant! Congrats Sonali! Trent graduates with an MS from UCLA ChemE! Trent will be moving up to the Bay Area to start a research position at Genentech. Congrats Trent! Mark Politz joins the lab as a postdoc! Mark did his PhD in Brian Pflieger's lab. His graduate work focused on metabolic engineering and synthetic biology. Welcome Mark! Congrats to Ben Bremer for being awarded the Sophomore Research Fellowship! Ben will join us this summer as an undergraduate researcher. Congratulations to Emily for winning the Mary Shine Peterson Award! The Mary Shine Peterson Award is the top honor presented to UW-Madison Biochemistry majors! Congrats to Jonathan for being selected as a BTP trainee! Juan is a new research intern in the lab that joins us after an epic journey at Epic. Welcome Juan!